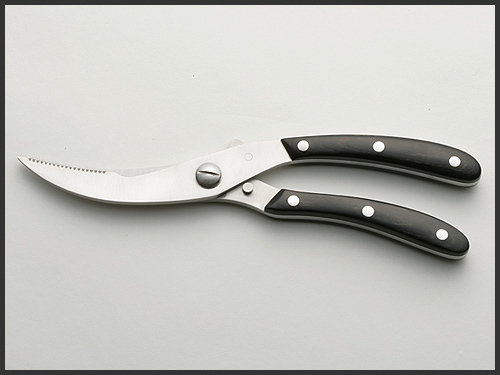 These deluxe poultry shears make cooking and cutting fun. Use them for snipping veggies too, a must have in every complete kitchen. Comes with beautiful Pakkawood handles.